After installing patch purge caches. Add a Label type resource to a course. 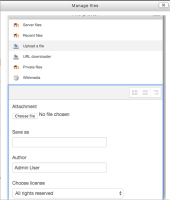 In Atto click the "Manage files" button. Behind this popup you should see a dark overlay on the parent page. In the popup click the file picker button (page icon). 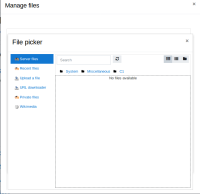 The File picker popup should open within the Manage files popup. An issue created on Bas Brands's request. 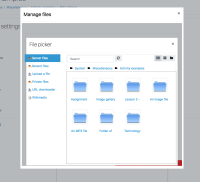 In Atto, hit the "Manage files" button.